Shareholders left bemused by Zynga's "next generation". During its Zynga Unleashed press conference, the leading social game developer announced a host of new initiatives, including a revamped sequel to the leviathan Farmville, a network to unify its players across multiple platforms, and an API allowing third-party developers to integrate their games with its Zynga.com platform. Farmville 2 will include a complete overhaul of the game's engine, with rotatable 3D graphics and more detailed animations. Additionally, new social features will be introduced, as well as a deeper crafting system. Crops and items, however, will not be transferable from the original, forcing current players to start from scratch if they choose to move to the sequel. Zynga went on to reveal that it is working on a new social network focused on gaming. Zynga With Friends will bring together players no matter their platform of choice, be it Facebook, Google+, iOS or Android. Along with this, a Zynga API was exhibited, which other developers can use to integrate their games with the new service. Minor and major developers alike have signed up already, including such names as 50 Cubes, Majesco and Konami. The company also announced a competitor to EA's The Sims Social. 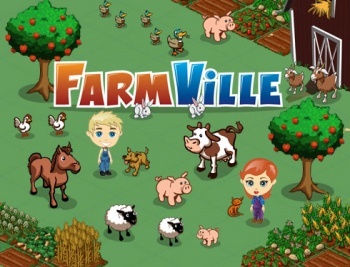 The new title, known simply as The Ville, will be Zynga's "most social game to-date", according to the press release. The Ville bears more than than a passing resemblance to The Sims, with players building their own home, hosting parties and interacting with friends to build up a "happiness" meter. The game is planned to be released imminently on Facebook and "soon" on Zynga.com. Investors were apparently left confused by the press conference, as Zynga watched share prices drop by 5% by the end of the trading day. The company had, until recently, seen a steady increase after a series of share crashes earlier this year. There could well be a fear amongst shareholders that the introduction of Zynga With Friends could amount to competition with Facebook, driving a wedge between the once closely-affiliated companies, even though Zynga has denied trying to distance itself from the social networking giant.